The new NVIDIA GeForce RTX 20-series graphics cards bring additional performance over the previous 10-series along with new features including real-time ray tracing. 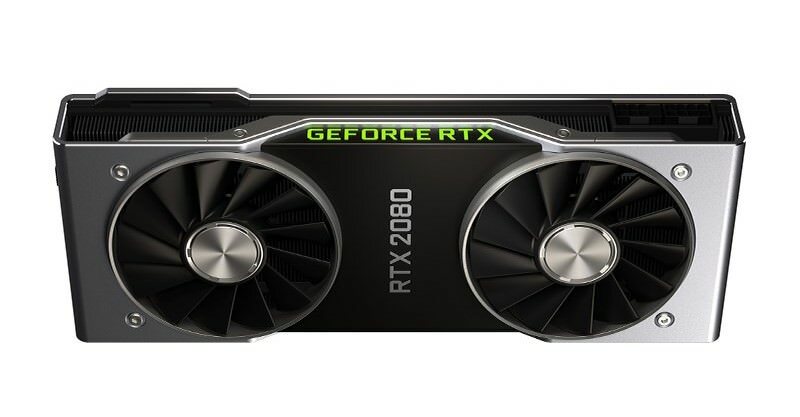 NVIDIA has released their new GeForce RTX 2080 graphics card today with both Founders Edition and AIB partner cards available. It’s been a long wait for the new GeForce RTX 20-series graphics cards – over 2 years since the GeForce GTX 10-series was launched – but they’re finally here. So, what exactly sets the new RTX 20-series graphics cards apart? (27/9/18) Note: GeForce RTX 2080 Ti graphics cards are now also available. NVIDIA GeForce RTX 20-series cards use the new 12nm Turing architecture which, when combined with the new GeForce RTX platform, brings real-time ray tracing, artificial intelligence and programmable shading to a reality. NVIDIA GeForce RTX 2080 utilizes the new TU104 GPU with 2944 shader cores and 8GB of GDDR6 memory. NVIDIA GeForce RTX 2080 Ti utilizes the new TU102 GPU with 4352 shader cores, 11GB of GDDR6 memory and 68 RT Cores for improved ray-tracing performance. Turing equipped GeForce RTX 20-series graphics cards are the first graphics cards capable of real-time ray tracing. What is real-time ray tracing? Ray tracing is a rendering technique usually used in animation/production studios when creating movies. It offers far more detailed lighting, reflections and shadows which help to create a more lifelike and realistic image. 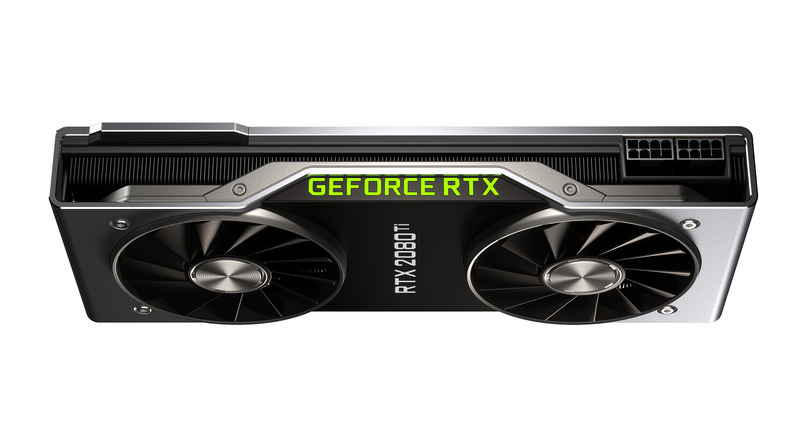 NVIDIA’s new RTX 20-series graphics cards contain RT cores that are specifically designed to run ray tracing calculations in real-time. High framerates are maintained in games by combining traditional rasterization techniques with ray traced shadows, reflections and refractions. In a future update, Shadow of the Tomb Raider will offer ray tracing options that take advantage of the latest RTX 20-series graphics cards. 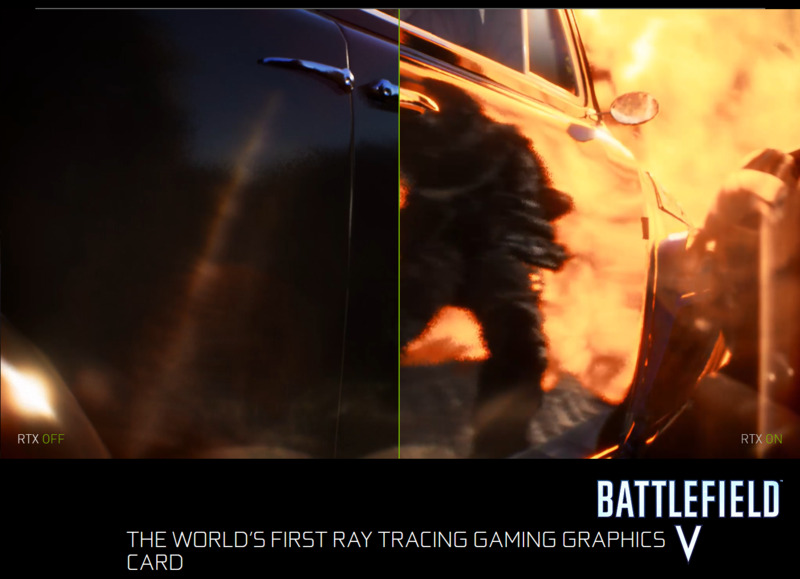 Upcoming games such as Battlefield V and Metro Exodus will also offer the option of enabling ray tracing for improved graphics. Ray traced frames also allow frames to be rendered with more detail than non-ray traced frames in scenes that contain multiple sources of light. Check out NVIDIA’s graphics comparison video below demonstrating RTX ON vs RTX OFF in Shadow of the Tomb Raider. What is Deep Learning Super Sampling (DLSS)? DLSS is a new super sampling antialiasing (AA) technique that utilises the deep learning strengths of the Tensor cores in the new RTX 20-series graphics cards. Essentially, DLSS learns on its own how to produce results that closely approximate the quality of 64X super sampling. By offloading this extra load to the Tensor cores means that enabling DLSS has little to no impact on framerate. For extra control, DLSS is adaptive and can be changed in the NVIDIA drivers with a slider. NVLink is the interface used to connect 2 GeForce RTX 2080 or 2080 Ti for improved performance. The NVLink interface offers increased bandwidth over older SLI and SLI HB bridges for supporting high resolutions and framerates. For the GeForce RTX 20-series graphics cards, NVLink is used on GeForce RTX 2080 and 2080 Ti models only. What is Samsung Easy Setting Box?